So, you’ve made up your mind to get your business a mobile app. With all its potential benefits, development is surely going to take quite a time. Now, if you go ask about app development process, developer or an agency will tell you how much time and money you should invest, and the answer will likely begin with a long Ehmmm… or they’ll ask you several questions in return (honestly, just as we do every time). There is actually no average number and no one-size-fits-all attitude. Process of developing an app is complex. You’ll need at least basic understanding of mobile app development to estimate the costs and timeline for your case. So what are the steps to develop an app? This article will walk you through every step of app development from creating a concept to marketing. Each of them is described in terms of tasks, resources, and outcomes. We’ve also given examples of industry practices and some of the solutions we provided to our customers. Goals: At this stage, you need to define a problem of your target audience and the exact solution that your app is going to offer. This is enough if you plan to work with an agency like Softermii. We’ll take care of the rest by helping you figure out whether you need a full-stack product or just an MVP. A strong, cost-effective strategy can only be defined in cooperation with an experienced team. Be careful with long-term planning. P rocess of building an app begins with the initial stage, where it is important to focus on core features and offer a minimum viable product with limited functionality. However, if you want to make any major enhanements later, it is better to plan them ahead. Test your concept. This stage is crucial for the enterpreneurs that don’t have years of experience building products and services, so that the app is their first large-scale project. There are different ways of testing: for example, you can enter project-related keywords in Google Trends or show the first sketches to friends, experts and target audience. Time and people: a week to a month, product manager (the must), developer (we typically ask an experienced developer to assess strategies and timeline of work). A thought-out concept will save you weeks later. Clear and detailed business model that will help you coordinate work and keep your team motivated. Specifiation document describing the overall business logic and results of marketing research. Technical specification document with the list of all necessary features and technical aspects. Time:If you are going to hire people on your own, get ready to search for no less than 2 weeks. With an agency, however, this step will take much less. We at Softermii offer a team of several developers almost instantly at the initial stages of work. In addition, a PM of this team will help you shorten your time to market. The work is long-term, and you don’t want to repeat the recruiting stage on the way. If a new freelancer takes the job over, he or she usually needs extra time to understand ins and outs of the project. This can take weeks, even months. Though freelancers often cost less (starting from $10/hour for Android development on Upwork), they are not easy to control. They don’t always reply, and there is a risk of hiring an inexperienced person: all in all, you can’t go into really deep details on a Skype interview. Later stages will involve close interaction between a designer and developer, and it is proven by our experience that this interaction is much smoother in agencies where people get used to each other before your project. Agencies are more flexible with recruitment when extra hours are needed. In such cases, we bring in our developers that work on other project with no extra costs (you will only need to pay them by their working hours). a close-knit team with well-defined responsibilities and workng conditions (hours, model of payment, retirement conditions). an NDA (non-disclosure agreement) signed by every team member to protect your ideas. Goals.At this stage, product owner or product manager creates a map of user experience (UX) and user interface (UI) of the app together with a designer. You’ll have to figure out where and how it takes the user in all possible cases. In app development, it is essential to define the actions people make using your app and the feelings they have about it. So, the design stage in fact starts from wireframing and requires a very special expertise (UI and UX design). Mind industry differences. It may be helpful to research more of the industry-specific apps at this stage. For example, we’ve got significant experience with real estate (RadPad), location based services (DogVacay), e-commerce (DollarShaveClub), and entertainment/dating (Cococure). Time and money: Wireframing time is usually measured as the percent of total designer’s time and can take from 20% to 50%. In our agency, it takes from 2 days to a week. A convenient wireframing tool will cost you from $9 to $999, but with our services it goes for free. Outcomes: a wireframe that defines content blocks and the flow of user experience. At this stage, servers are delineated, as well as APIs and data diagrams to direct teamwork. To put it simple, it is needed to define how the data will flow between the server side (business logic, databases) and user side (things users see on their screens). Data flow happens every time a user is logged in, a push notification is sent, etc. whether multimedia content (e. g., music, video) will need to be uploaded. If you are making app on your own, this step means hiring a developer or buying mBaaS (which still cannot be integrated without professional support). The prices for mBaaS will vary depending on the number of users, and they are usually no less than $50/month. Some platforms provide limited-time free trial for 50 or less users. With our help, you won’t have to delve into these complex matters or pay extra money for any services. Our back end developers will support you all along the way. Expert help of an experienced back end developer is needed to define the server-side architecture, and we’re glad to offer it. It is important to make corrections to your wireframe if anything goes wrong technically at this stage. In Softermii, this initial stage of testing is the must. Outcome: a clear diagram of back end/ front end data flow, databases and APIs set up. Goals: It’s all about creating an account where your app will actually live. Time and money: An account will cost you $25 (Google Play for developers) or $99/year (Apple app store). Our agency includes the price for this in the overall check and does everything for you, so there is no need to worry at all. Outcome: developer accounts ready for publishing. Goals:Your designer will need to create high-res mockups for every page of the wireframe. Experts emphasize UI and UX side of design so often that many enterpreneurs tend to pay less attention to the actual look of their apps: the fonts, scalability, color balance, integrity in icon style etc. Still, high-quality material design is essential for your brand. The example of it is recent redesign of Asana’s Android app. Usability tests are essential at this stage. In our company, all tests are carried out by the same QA team right on time, but if you choose to do the work on your own, this will likely take extra time. A designer should be familiar with developer’s jargon. That is one of the reasons why it is better to contact an agency to facilitate designer-developer communication. Time and money:In our experience, the time is from 80 hours (delivery apps) to 400 hours (complex shopping apps). Freelance designers specialized on mobile marketing will usually charge around $50/hour. User tests may cost you some extra money depending on the type of testing; we will give you this service together with others at an hourly rate of our QA. Out?omes: high-quality graphics for all the components of your app such as action bar, contextual menus, and material design. Example: Screens of the app we’ve done - Dollar Shave Club. Goals: At this stage, we put your mockups to life by translating them into a functinal code. Though the next stage we describe is testing, this stage also involves active communication between all team members for the unit test, integration testing, re-designing some elements etc. Managers and business owners can further simplify the coding stage by using special app building platforms. This strategy works with really simple products, like listing or utility apps. However, consider agencies if your app is more complex or requires server-side support (as, for example, messaging apps do). Time: In our agency, this stage will take froma month (for the simplest apps) to a year (enterprize apps, games etc.). Outcome: code of your app and a document describing all its elements (some call it the Manifest). Goals:The testing phase includes running the app beta on different devices (or their emulated versions), networks, and operating systems (or versions of one operating systems if you’ve chosen one). You will also need to apply Google and Apple standards by using TestFlight, Android submission requirements, emulators and other guidelines and environments. It’s better to employ professional QA engineers if you can afford it. Additionally, an experienced product manager might offer you several effective cost redution measures at this stage. QA engineers of Softermii test the project several times, not only at this stage. We try to make your app compatible with older versions of the devices that support your app, and so should you if you are making an app on your own. Emulated devices do not give you the entire picture. That’s why, we use real devices in addition to the emulators as much as we can. Time and money: On average, 20% of our total project development time at Softermii is usually devoted to testing. Sometimes it can take even more, up to 40%. On the market, prices may be set on hourly basis (starting from $50/hour or the rate that you pay your developer if he/she is responsible for the job) or in packages (per devices, per users, etc.). You will also need the costs to cover the use of emulated and real devices. We simplify that all for you by adding the testing price to the total check. Outcome:a bug-free application and detailed record of testing and debugging for building future versions. Goals:Make your app available to users and start selling it. This means creating and executing the entire marketing strategy. Softermii assists you with the release and support at the stores. The rest is up to you, though we consult our customers on product-related matters. Just like your app, a marketing plan should be thought-out and cohesive. You’d better prepare it in advance to start pre-release activities at least a month before the release. There are apps (e.g. Hatch) that start publishing videos and articles a year before the release to create the demand and a pool of potential users. Prepare a landing page optimized for mobile before launch. Publish your app in Pre-apps to get more feedback from the users. Create a demo video and a compelling pitch to introduce your app for reviews and other types of publications. Make a plan for guest blogging. Publish articles regularly. If you consider paid publications or placement, request or research the number of actual visitors who will see your content and engage with it. Invest in search engine optimization if you run a local business. Social and mobile PPC advertising are the best options if you choose to place paid ads. Time and money:Total cost of your marketing efforts will depend on the country and your plan. Researhers at Fiksu.com suggest that marketers spend at least $15000 on ads only. It is hard to estimate the time, since marketing activities are as iterative as development activities: you will be adjusting your app to the end users along with adding features according to your plan. Outcome: a fully-developed marketing strategy ahead of the release. 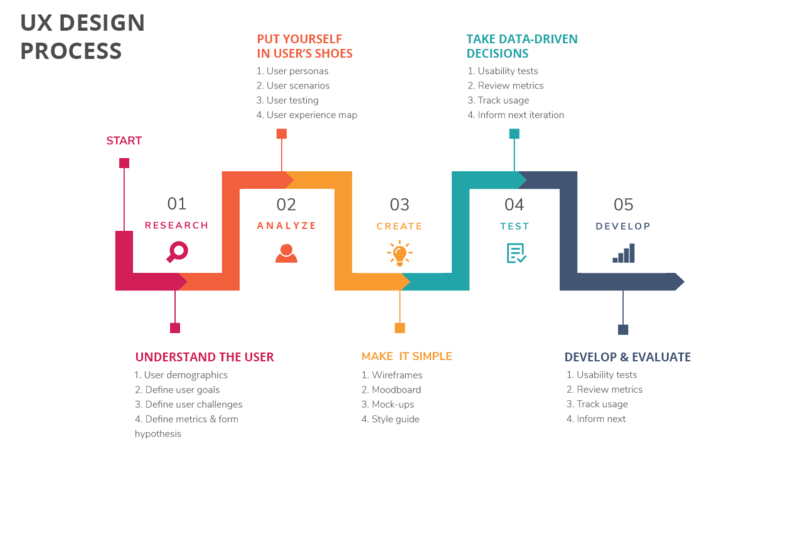 The accelerator of all these steps is professional project management. That is why, we devote to it 20% of our efforts. If you want to free yourself from the worries (which, as you can see, managers have at practically every stage), just contact us. Our product manager will help you make important decisions, keep everything in perfect order and report to you about every sprint. Enjoy!